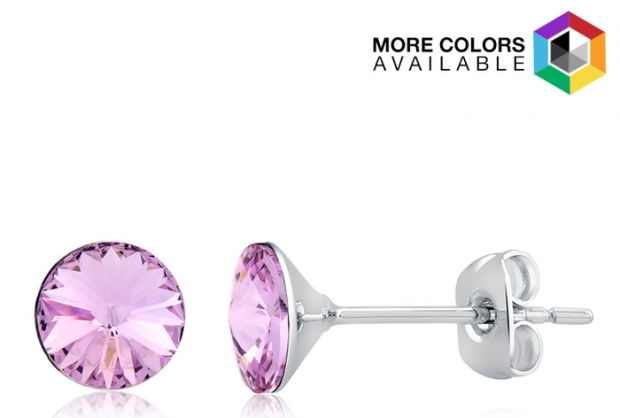 2Ct Swarovski Crystal White Gold Round Earrings Only $4.99 Shipped! You are here: Home / Great Deals / 2Ct Swarovski Crystal White Gold Round Earrings Only $4.99 Shipped! The cut of this crystal makes it look as though there is a flower in the center! These 18-Kt white gold plated earring hold a pair of 2Ct (total weight) Swarovski Crystals. Get the 2Ct Swarovski Crystal White Gold Round Earrings for Only $4.99 Shipped! Over 10 colors to choose from!